If you are struggling with debt and looking for answers, the first step is speaking with experienced Cedar Hill bankruptcy attorney Richard Weaver. Richard Weaver has been a leading Texas bankruptcy attorney for almost three decades. During those years, we have helped bankruptcy clients in Cedar Hill and across Texas retain their homes and vehicles and stop creditor lawsuits, creditor harassment, and wage garnishment. We help consumers discharge or pay off debt through personal bankruptcy, and we help you make a “clean slate” and a fresh financial start possible. Filing for bankruptcy discharges unsecured debt, including medical and credit card debt and “payday” loans. 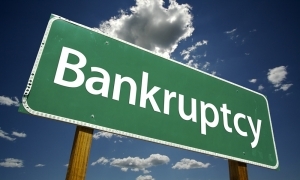 Whether or not bankruptcy is right for you depends on your individual circumstances. If you are wrestling with mounting debt – and the debt is winning – let an experienced Cedar Hill bankruptcy lawyer examine all your finances and financial documents. Then your bankruptcy attorney can discuss your financial situation and recommend the most practical solutions. Bankruptcy isn’t right for everyone, but for some, bankruptcy will be the only realistic option. If you qualify for Chapter 7 bankruptcy, all of your unsecured debts will be discharged, and in a Chapter 13 bankruptcy, your debt is reorganized so that it can be paid off over a specified period of time. When either a Chapter 7 or a Chapter 13 bankruptcy petition is approved by the bankruptcy court, an automatic stay is immediately issued, and it prevents creditors from foreclosing on your home, repossessing your vehicle, or taking you to court for your debts. You may or may not choose to file bankruptcy after consulting with an experienced Cedar Hill bankruptcy attorney, Richard Weaver. We can answer all of your bankruptcy questions about the bankruptcy laws in Texas, about your qualifications, and about rebuilding your credit and finances after bankruptcy. We can also help you with direct debt negotiations and the other alternatives to bankruptcy. If you are struggling with debt in the Cedar Hill area, make the call promptly to (214) 463-2200 and let Richard Weaver help.